Le Chat, it was bloody awesome to see you and your ever-stylish ride this year. I wish I had been able to hang with you more than I did, but I cherish every moment I did get. M*A*S*H 4207th: An army of fun. I don't care what the borg says: feather-wearers will NOT be served in Rosie's Bar. When I ask how many burns, I mean at BRC. oscillator wrote: Dang it, sorry I missed you guys in TC. Even went wandering the back alleys of 9:00 to do some lumen comparing. I know... dang it. I really wanted to meet up too. I had good bourbon to share. The CO wrote: Le Chat, it was bloody awesome to see you and your ever-stylish ride this year. I wish I had been able to hang with you more than I did, but I cherish every moment I did get. It was good to see you too... but it is never long enough. We need to really just sit down and enjoy life for a bit. And yes, quickly as it goes, we still have some time to plan. And as you may have heard, we had a few obstacles in our path back to Kentucky, but despite the odds we made it back in one piece. With so much to tell, I figured I'd post a post-burn post fitting of the tagline. â€¦even with that, it was still my bestest, specialist-est, most favorite year since my first. I met some wonderful people, had some exceptional experiences and the Contraption performed more than admirably the entire week. 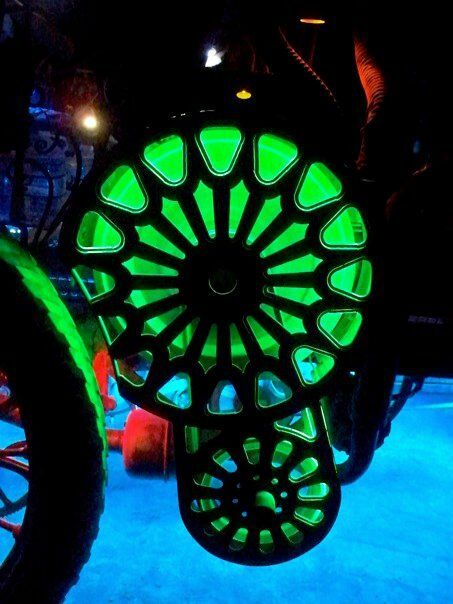 We gave rides to a good number and many others seemed to enjoy examining the details, both day and night. She went to the trash fence and back three times, and Iâ€™m estimating that we covered 15 miles or more during the week and burned under 4 gallons of diesel doing it. Man, thatâ€™s mileage almost as good as a Hummer! Of the many folks we picked up, one was a new friend named Horns who told me heâ€™d been coming to Burning Man for ten years and that this was his first Art Car ride ever. I felt pretty honored actually and was happy when he crossed paths with us over and over during the week after that. We also stopped at one point because I recognized ygmirâ€™s MV and because of that pause to chat with him, I also got to meet Token, who pulled up as well. Two good and decent fellows, these two, despite what they might have you believe. 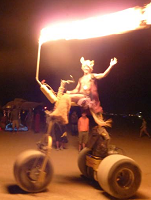 And Rodiponer walked up on the open playa, introducing himself and his wonderful family. On another evening, Tiahaar rode up out of the night on his super cool trike and even let me take it for a spin. And so many more people, both old friends from years past and new friends at the meet and greetâ€¦ so many I donâ€™t even know where to begin with that list. 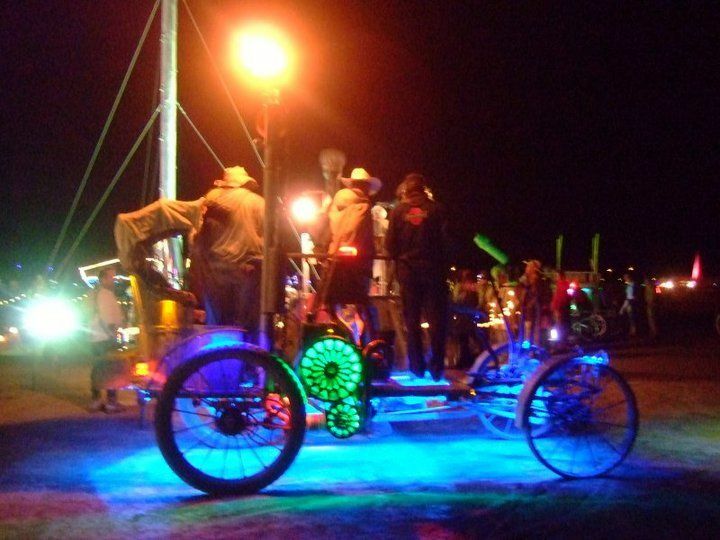 From pulling up to a small dance party at the deepest point of the playa to parking by Ein Hammer and seeing Jellyfish do his thingâ€¦ there were lots of good, good experiences to look back on. 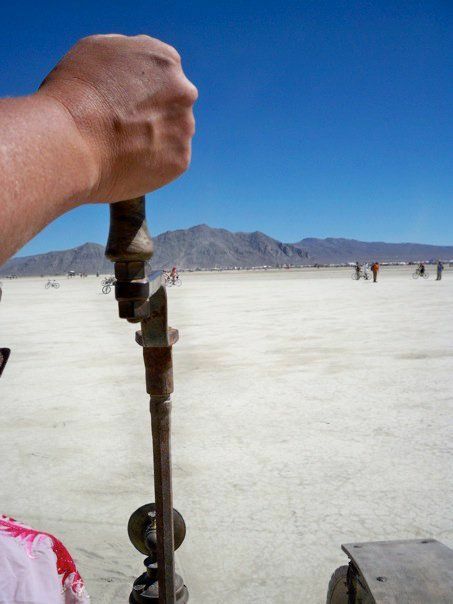 But the one that best summed up the giving, void filling nature of the playa involved the one Contraption-related mechanical failure of the week. These pics are courtesy of our campmate, Chabba. I missed you this year. Karine and I checked in at the booby Bar during the week in case you showed up. I missed the two of you, the three including the contraption. Just wasn't meant to be. Although, the parts for my door might have been handmade. So, maybe my van has a little Contraption running through her veins. theCryptofishist wrote: Just wasn't meant to be. Besides... next year was better. 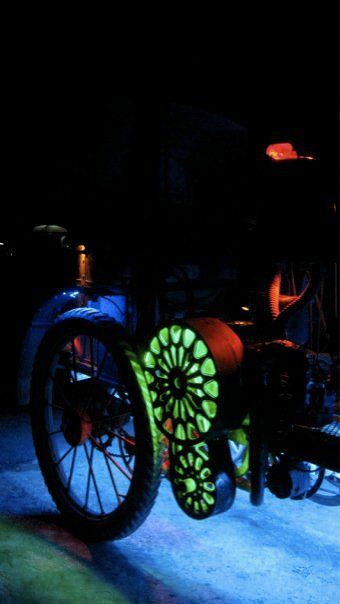 1-The Contraption is bar none the coolest vehicle I have ever seen or had the honor of riding. Not just in BRC, anywhere. It has unmatched style. 2-Engine or no, I will pump or push that beautiful rig anywhere it needs to go, anytime. 3-You sir, are one of the finest gentlemen I know, and I consider every moment spent with you and your fine lady, no matter how brief, to be time very well spent. 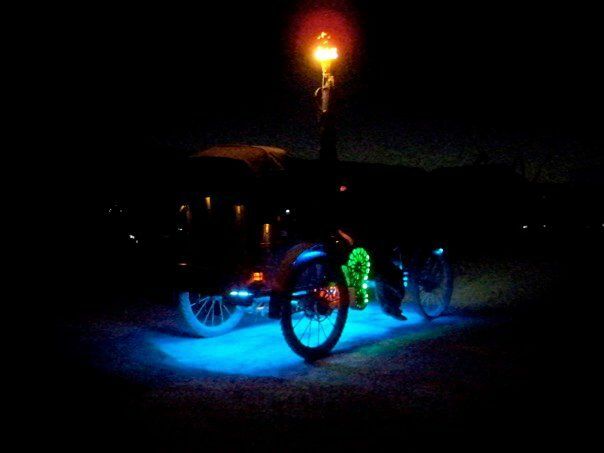 Hey LeChatNoir, truly an epic rendezvous on the playa this year, very good to meet up with you and the gang and check out the hardware too. You've got an eye for lighting along with mechanical genius! Shucks you were just getting that truck broken in at 11 years, but then like you say maybe the climate was just more agreeable out west...and you obligingly granted the wish. That's what a good friend would do. Heh, and maybe the truck was due for a whole slew of fixits that you really wouldn't want. Sounds like a smart trade. Glad you're home safe and sound! My '74 Trailduster is holding on but has a squealing throwout bearing; I have a new clutch kit on the shelf waiting to be put in however the transfer case is also worn out. Soooo I hunt for a good used NP 203, and keep my lumber yard runs to a minimum. Got to love good old trucks! Count me amoung it's many admirers, it has always has been one of my favorites. "barfs light out onto my path"
you, sir, are a poet-cat. Bin, we never got a picture of the flag you made with The Contraption. We've still got to get the old rust bucket settled into the barn, though. Right now it's just tarped in the back yard. Maybe there's still a chance for a photo op! LCN, Did you get to 8:30 and J aka The Coffee Camp to see Tom Willsons great quadricycles?? I'm so happy you like it. playa time is so short. I seem to have enough time to relax on my own, but when I think of the people I would have like to chat with and ride on super amazing art cars a teeny time with... it goes by so fast. 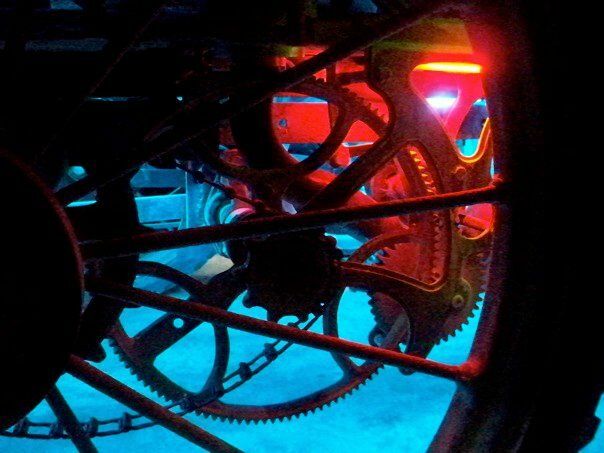 I vote for contraption 2010 thread to remain a while longer for afterglow. I mean "him". He's super cool and makes me smile really big. And when I show him to others and play up the "now I can go out in the dark" thing, it gets a good laugh and spreads the fun around. So you see? The force multiplier of gifting. You are making the world more fun, Elorrum. Oh, unjon... yes we did see the quadricycles. Pretty wonderful. I love the stuff that comes together out in that place, that dusty, creative place. The week out there goes by so fast. I made a conscious effort to slow it down this year and it seemed to work a bit while I was there. Sort of. But now that it has passed, it all blurs together and seems to have gone so quickly. So I guess I could mention some ideas I've had for next year. I mean, as long as we're basking in the afterglow and all that. Small air compressor and tank and a steam whistle. I've already got the whistle valve and could easily enough machine out a large whistle for a deeper tone. If it will run on compressed air, then... well... it would likely run on other compressed gases, right? Like, say propane? It was a pleasure to meet you, LCN, after all this time.......I've admired your Contraption, always. I just wish we'd a had more time to palaver. How about a brass and copper spot light.. The first cars had a single light on a post and bail.. I have also seen in movies on old hook and ladder fire trucks..
Got my ornate post from a floor lamp.. While wachting an old WW1 movie I noticed a different search light. Location: Where it's always... Wednesday. Don't lose your head over it. Generally ran off acetylene, either from a tank or from a carbide generator. The location of the flame was at the focal point for the mirror in back which caused it to ehtier be a flood or spot light. They threw a surprising amount of light. (They also didn't have the nasty habit of having filaments that would break, killing the light). I have an old rushmore spotlight, about a 12" or so, ran a 3/4 foot burner (as I remember - it's bigger than a 1/2 or 5/8) which is (also as I remember) how many cubic feet of gas per hour it burned. Worked well, and if you have a source of acetylene OR a carbide generator and a source for Calcium Carbide works without electricity. Is planned for headlighting on MV1. LOVE gas and/or K-1 lighting. Speaking of... As I remember, LCN, didn't you use a hit n miss on the Contraption (wish I'd seen it) one year? What were the issues you had with it which made you switch to the current power system? I was thinking along the same lines for MV1, IF I can find a suitable one to power the beast with. Bay Bridge Sue wrote: Generally ran off acetylene, either from a tank or from a carbide generator. The location of the flame was at the focal point for the mirror in back which caused it to ehtier be a flood or spot light. They threw a surprising amount of light. (They also didn't have the nasty habit of having filaments that would break, killing the light). I have a small propane single mantal light. (Stanport I think). Now to get a small section of tube from tube sky light.. Alreadyy have a chrome bowl in mind.. Those flat glass lens are a bit spendy. MMMM! LeChat, dixie gun works up your direction has a museum with some whistles, if you want to try some out first. Wow, you mean I could test drive different whistles and see what sounds best? I must check into this, yes definitely. 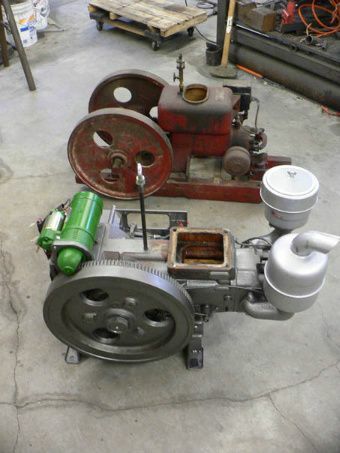 The engine that powered The Contraption in 2008 was a 1928 Hercules XK 1-3/4Hp throttle governed engine. Here at 700 feet elevation it started easily, but at the higher altitude of the playa it had trouble starting and was noticeably weaker (Though, I have to admit that some good stories came about via this troublesome aspectâ€¦ remind me sometime). It did power the vehicle, but barely. In some of those deep dunes that year we had to help it along by hand pumping. Honestly, it was only 1-Â¾ Hp when it was new in â€˜28. Iâ€™d be surprised if it was putting out much over 1 Hp on playa and without the torque of a diesel. If you are planning on using a hit-n-miss or similar, Iâ€™d suggest using the largest one that space and load bearing capacity will allow. For a point of reference, the new engine this year was a 12 hp diesel and it had no problem pulling the load. We had eleven people riding at one point and I was way more worried about the frame failing than I was the engine. It was flexing a good bit and I donâ€™t think we should do that again. What Iâ€™m trying to say is that the Hercules really strained to pull an estimated gross vehicle weight of (5 people and the MV) 3900 lbs. The 12 Hp diesel pulled an estimated gross vehicle weigh of 5000 lb (11 people and the MV) at +/-5mph without any issue. With the right gearing I feel certain it could have done the same at 15 mph. So, Iâ€™d think, with only a very vague knowledge of your MV plans, something of the 3 Hp range would be suitable. The 1-Â¾ Hp Hercules weighs in around 190 lbs. The 12 Hp diesel weighs in around 230 lbs. 3 Hp probably around 600 lbs engine weight, maybe? Guessing. Long ways to go, but I think it may work. But yeah, I wanna hear the stories!!! (Perhaps over a chilled absinthe, maybe??) Kinda was thinking in the range of a 4 1/2 to 6HP motor would be enough to haul myself and whoever else piled on... or rigged right (maybe a second set of drive pulleys and belt off the other side of the motor) geeared way down to pull a stranded MV back to town... Kinda have the idea of a mad max-esque semisteampunk tow rig. Still flitting ideas arouund, tho, and a lot of it will depend on what I find out here on the left coast - slim pickings compared to elsewhere. We have a Power Land that has 100s of hit and miss and a big show everyyear.. The owners tell me the engines were hidden during WW2 so they would be taken for scrap..